A retail tenancy within the Hub Convenience Centre in Burpengary was sold for $2.6 million to a Brisbane based private investor reflecting a net yield of 7.5 per cent. This 356 square metre strata-titled investment is occupied by Discount Drug Stores, an established Queensland business who has leased the property until 2023 with an option of eight years. Stephen Kidd, Director of Retail Investments at Colliers International marketed the retail tenancy on behalf of the investor owners from the Gold Coast. Mr Kidd said the property was sold off-market after attracting four offers from Brisbane and one from Gold Coast based investor. “Strong performing tenanted properties in the Moreton Bay region have begun to attract a lot of interest because it is a high growth corridor with a lot of potential,” Mr Kidd said. “We experienced similar sort of investor enquiry for this property as we did for Ningi’s 7 Eleven Travel Centre which we sold for $6.1 million earlier this year. “This particular retail investment ticked all the boxes with its secure income stream of $192,000 per annum derived from a strong pharmacy business on a lease term of 17 years including options. “It offers a prospective net return which is positive from day one, and substantially higher than similar priced residential investment property alternatives. “Recently we have also experienced solid offshore interest for retail investment property in Queensland, but in most cases it doesn’t end in a transaction as they are not prepared to pay sharper yields like our local investors are. The Hub Convenience Centre comprises four separate buildings and 27 individual strata titles over 4,083 square metres of gross lettable area. The centre is anchored by a successful medical precinct, a food precinct with Spar Supermarket and a large child care centre. Mr Kidd said the centre has a focus on convenience and services, with the medical component trading very strongly and attracting substantial patronage from the surround suburb of Burpengary East. 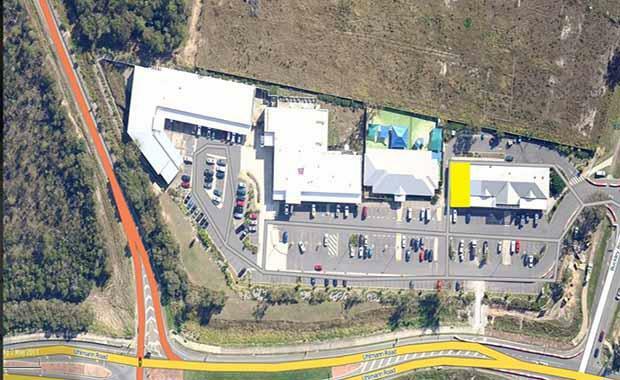 The convenience centre features a corner location at 115-117 Buckley Road in Burpengary which is a fast growing suburb located in the Moreton Bay Region, 35 kilometres north of the Brisbane CBD.